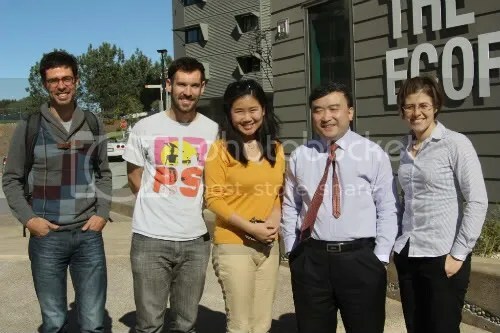 From January 24 to February 3 this year, UC San Diego hosted Professor Ji Zou, director of the Chinese division of the World Resources Institute and professor of environmental economics and management at Renmin University in Beijing. Professor Zou has also served as a representative and negotiator for China at the United Nations Climate Talks from 2000 to 2009. I had the privilege of attending two of Dr. Zou’s speaking events (part of the IR/PS’s EmPac series) as well as to sit down for an interview during Dr. Zou’s 10-day residency. During his speaking events, Dr. Zou delved into some of his work with the WRI directing the initiative to develop new models for ‘low carbon cities’, models that are becoming increasingly necessary for China’s sustainability, as China’s population continues to grow larger and more urbanized. He outlined some of the lessons learned so far in their low carbon city pilot programs in Qingdao and Chengdu, and their plans for the future of Chinese urban development. In his presentations, Dr. Zou raised two key types of challenges faced by China today: access to clean water resources, and energy & climate change. He pointed out that China’s urban population is increasing dramatically, a problem faced by similar emerging economies such as India and Brazil, as well as emerging nations like Indonesia, South Africa and Nigeria. In the year 1800, only 3 percent of the global population lived in urban areas. By 2009, we saw 50 percent of the population living in cities, and this trend is only expected to continue. With this increased urbanization comes new challenges: natural resource availability, water access, mineral supplies, etc. As Dr. Zou said, “along with the high growth of the economy there has been a corresponding increase in demand for energy, for many aspects — more transport, more building, more appliances, more infrastructure, safe water, more power plants, etc, etc. In this case, together with the fact of the huge population in China, along with the process of urbanization, we have an increasing energy use.” The aim of much of Dr. Zou’s work is to identify ways to overcome these challenges, while keeping both ecological and economical factors in mind. Despite the fact that increased urbanization has created many new problems for China, it has also been the root of much of China’s recent development. Cities are crucial for China’s future economic growth and serve as the breeding ground for innovation. Hence, Dr. Zou and the WRI have been conducting research and developing new plans for how to increase the efficiency and sustainability of China’s cities. Dr. Zou has found that it is easier to work with municipal governments to develop the pilot programs on a small scale than it would be to enact the new plans at the national level. With municipal governments, there is better access to data on economic activity, infrastructure, scenario studies of projected future energy use, all of which are helpful toward the goal of a low carbon city, and allow the program to allocate different emission targets to different municipal sectors. Additionally, at the local government level, as a mayor or governor there is intense public and political pressure to succeed in the efforts to develop better sustainability. In those roles, it is seen as shameful if you fail to meet a target. The public demand for better environmental quality has increased over recent years, in correlation with rising incomes, and this new public pressure helps to determine the motivation for mayors and other government officials to accept environmentally friendly concepts. In the analysis of the growth of energy use and emission of Chinese cities and other major cities around the world, Dr. Zou has found that there are different paths taken by different cities, with respect to population growth. Some cities appear to manage emissions well as their populations rise, while others have skyrocketing energy use and emission levels with increased urbanization. Some Chinese cities have followed the latter path, so Dr. Zou warns, “we have to be very, very careful about our pathway.” If all Chinese cities follow that same trend it could be very dangerous for the environment, for sustainability, for quality of living and for impact on climate change. In his public talk at the UCSD faculty club, Dr. Zou discussed some of the challenges that stand in the way of breakthroughs in low carbon, environmentally friendly technology and infrastructure. Today these challenges include a shortage of financial resources, market barriers, and the difference between public interests and commercial interests. However, he also observed some new trends that signal that these obstacles could soon be overcome. He pointed to some new strategic opportunities, namely green jobs and green technologies that could serve as new engines for ending the global recession, in turn promoting an availability of financial resources for investment. Dr. Zou also indicated that in China there are efforts to upgrade infrastructure, and restructure the Chinese economy, allowing Chinese cities to shift to more sustainable pathways. The new pathways involve some main criteria. The plans endeavor to make cities more livable, more environmentally friendly, with increased incomes and higher living standards, along with higher levels of efficiency across the board and less reliance on fossil fuels and energy in general. The Low Carbon City initiative is starting with eight cities in five of China’s provinces. The pilot scheme intends to enable policy development, accelerate construction, analyze socioeconomic factors, and use known data to allocate emission control targets. With this method Dr. Zou intends help cities to identify and prioritize sectors, companies, technologies, and investments in their effort to optimize space and account for emissions at the city level. Dr. Zou outlined their three primary methods for tackling energy challenges and China’s heavy reliance on coal. The first goal is to improve energy efficiency. “You can save energy by efficiency improvement. To do the same thing but consume less energy – this will continue to be the major method for China to take in the coming decades. Reducing energy use as well as reducing carbon emission and local pollutant emission.” The second key method Dr. Zou outlined was “to control or slow down the increase of coal use, petroleum use and natural gas use, but meanwhile to increase, or to speed up the use of renewable, non-fossil fuel energy. Including wind power, hydro, as well as nuclear.” He mentioned the debates surrounding the use of nuclear power, but pointed out that given its successful use in countries such as France, the United States and Japan, and its relatively low incidence of accident when compared with transportation, aviation or even coal mining, it appeared to be a good method for energy supply in general. He stressed however that restructuring the supply side of energy is more of a long term perspective rather than a short term method, and the low carbon initiative does not have high expectations for changing the whole picture of energy use in the short term. Clearly these challenges of energy needs, water resources and climate change need to be addressed in the coming years, and judging by the breadth of Dr. Zou’s initiatives at the WRI, it’s clear that they are being taken very seriously. Given that many other regions of the world are facing similar challenges, I inquired about China’s role in the international community. Dr. Zou made clear that China is willing to share its findings and experience in the interest of international cooperation. “If we can do something helpful, we would be happy to do so. Actually, as a political strategy, China would be happy to do some cooperation. There is a very broad range for China to cooperate with other developing countries for climate protection, including improving energy efficiency, building low carbon transport systems, and analytical tools for blueprints for low carbon cities and renewable energy use, including biofuels and solar.” With its growing expertise in the field of modern urban development, I wondered if China was beginning to be viewed as a model for developing nations. Dr. Zou asserted, “I hesitate to say China is becoming a model, but I should say that China is really serious to take action to mitigate and adapt to climate change. China wants to take the appropriate responsibility to address global warming.” He then called on the international community, and the United States in particular, to act. He affirmed, “China would also be happy to see the action taken by other countries like the United States and the European Union and other developing countries, because we believe global warming is something that we need collective action. Nobody can avoid the negative impact of climate change. All the people, all the countries, all the economies should be involved in the efforts to address climate change, and especially I have very high expectations for the United States — it’s a large developed country with a very high capacity for innovation, very high technology, very strong financial capacity. I think that the U.S. can, and the U.S. should make a contribution, make a big contribution to the global warming issue, and the U.S. should take lead. But certainly I would also like to see along with the improvement of capacity, China will also take an increasing role in climate protection.” This clear call to action is a reminder that the time has come for the international community to step up its efforts to address climate change. Dr. Zou and the WRI have proven through their low carbon city pilot program that with the right initiative and the right resources, we can set a course down a more sustainable pathway. With new planning tools and new industries and innovations on the not-too-distant horizon, we may be able to advance the world and its cities to new standards of energy use, energy efficiency and environmental sustainability. ← COULD CHINA'S ONE CHILD POLICY WORK FOR THE UNITED STATES?